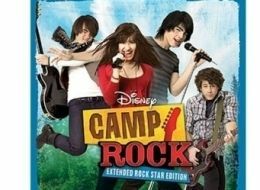 Millions Flock to Watch Disney's "Camp Rock" - Christopher C. (Kiff) Gallagher, Jr.
“Camp” debuted to 8.9 million total viewers Friday night, with fans holding viewing parties nationwide. A second airing Saturday night on ABC pulled in 3.6 million viewers, while a third airing Sunday on ABC Family averaged a solid 3.7 million viewers, according to Nielsen. Meanwhile, the movie’s premiere in Canada became Family Channel’s second-most-watched movie ever, behind Disney Channel’s “High School Musical 2” (848,000 total viewers vs. 1 million).